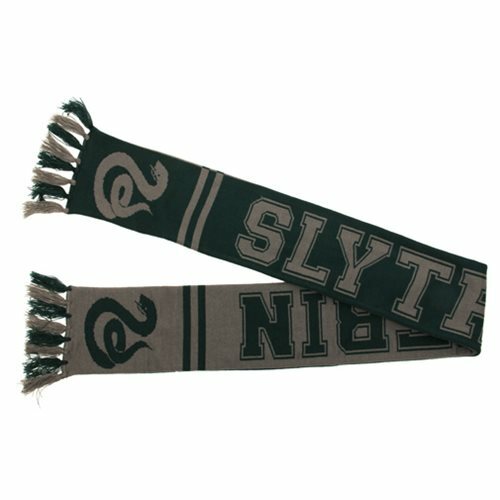 Your cunning and ambition will be evident to the whole school when you wear this Harry Potter Slytherin Reversible Knit Scarf. This winter-ready scarf is fully reversible and made of high quality soft green and gray polyester. One side is solid gray and sports green stripes with a fully detailed green Slytherin serpent. Switch to the second side for a solid emerald look with dark gray Slytherin lettering. Measures about 64-inches long. Ages 14 and up.